Campaign for increased Australian Aid funding by CBM. Image: ©Erin Johnson/ CBM Australia. Today is International Day of People with Disabilities – a UN-sanctioned day that exists to promote the rights and the capacities of people with disabilities, aimed at galvanizing support towards achieving a more disability-inclusive world. This year’s theme is the empowerment of people with disabilities. At CBM Australia, an international development organisation focused on ending the cycle of poverty and disabilities, they’re highlighting the role that the whole community has in empowering people with disabilities, simply by addressing their preconceptions. The campaign hashtag? #Don’tUnderestimateMe. (You can check out CBM’s video here). 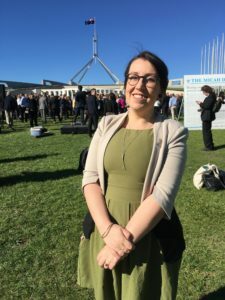 Erin Ryan, from CBM’s Policy and Advocacy team, knows better than most people exactly how capable and strong people facing disability can be – even when they face the additional constraints of poverty. “Last year, I had the privilege of visiting some of CBM’s Australian aid-funded work in the Indian state of Jharkhand. Jharkhand is beautiful, but incredibly poor, primarily indigenous and deeply troubled by gender-based violence including public lynchings on the basis of witchcraft,” she says. But with support from the Australian aid program, many of these women with disabilities had accessed information on the justice system and were now fighting in the courts to see justice done. 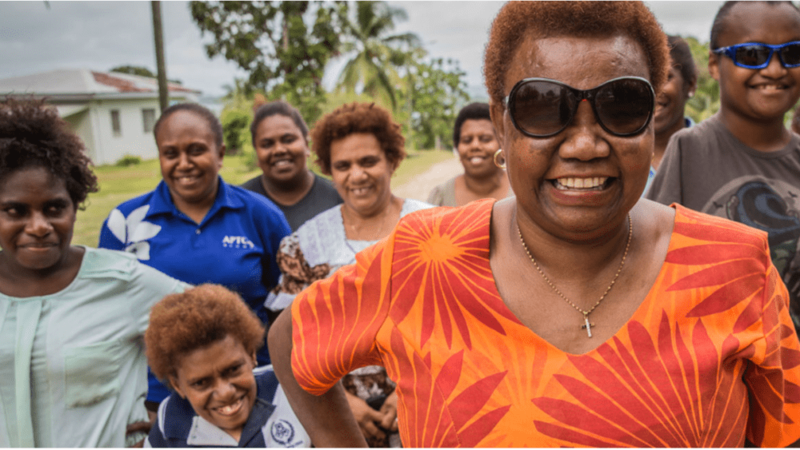 “These women remind me that people with disabilities aren’t just vulnerable: they’re also agents of change, with many defying expectations to achieve their own goals, and those of their communities. Ryan explains that people with disabilities living in low- and middle-income countries do face deeper poverty, higher barriers and unique challenges in their daily lives. However, they also have unique strengths and capacities and are making incredible contributions in ending poverty, promoting human rights and fighting climate change. Ryan says that the Australian Government has long recognised these rights and capacities and has shown leadership in putting disability-inclusive development at the forefront of our aid program. In fact, Australia became a world leader when the nation’s first dedicated strategy for disability-inclusive development was introduced by Labor Minister Bob McMullan in 2009 and the commitment has continued to receive bipartisan support, enduring changes of government, and being renewed by Foreign Minister Julie Bishop in 2015. Since then, governments like the UK and Germany have adapted Australia’s strategy for disability-inclusive development in their own aid programs. Ryan describes this as “a clear case of Australia placing values at the forefront of policy and achieving real impact as a result”. However, she says that whilst these commitments have been unwavering, the strategy hasn’t been adequately supported by funding. Since 2015, dedicated funding for disability inclusion within the Australian aid budget has been frozen at $12.9 million – with no CPI increases. In fact, since 2015, dedicated funding for disability inclusion within the Australian aid budget has been frozen at $12.9 million – with no CPI increases. And, whilst people with disabilities make up 20 per cent of the population in low- and middle-income countries, only 0.3 per cent of the aid budget is dedicated to their empowerment, support and advocacy. Today, on International Day of People with Disabilities, Ryan spent the day at Australia’s Parliament House in Canberra, meeting with MPs and urging them to increase funding dedicated to disability inclusive within the Australian aid budget. CBM has also launched a petition online supporting the same ask of increasing aid funding, which will be delivered to the Foreign Minister in the new year in the hope that she will take it to the expenditure committee at budget time.